In this guide, we look at what rankings are, how they work, what they mean, how to track, measure and value them. 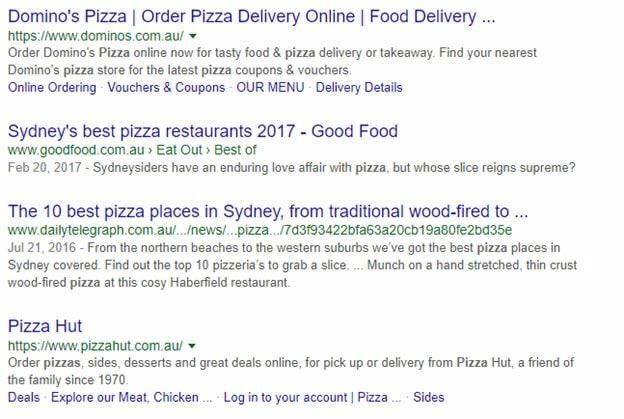 At its most basic; a ‘keyword ranking’ is the organic position that is appears within the SERPs (Search Engine Result Pages) for a particular keyword. Keyword rankings are ultimately a measure of success for an SEO campaign or strategy, not the only measure but in the right context they are valuable to know. Given that the keywords you are targeting are chosen well and are valuable to you; understanding where your site ranks for them will give a good indication of your organic visibility. The search volume provides us with the amount of people who could potentially see your listing; while the rank caps the actual amount of impressions the listings get. What this means is that; the better you rank for high search volume terms, the greater your organic visibility. The more terms you can rank for the greater your site’s organic visibility will be. 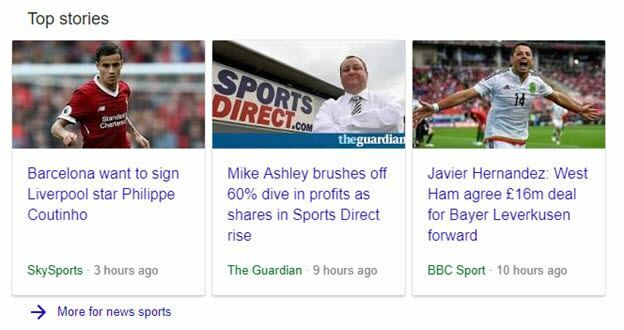 There is now significant variation in the SERPs, if two people search the same keyword, they can get different results. These are the main factors associated with these variations. Nowadays, a huge amount of web traffic is mobile traffic and a significant amount is tablet traffic… Because some sites are more optimised for mobile & tablet devices than other sites, the results will often vary between desktop, mobile and tablet. If you are logged into Google (if you have a Gmail account for example), their algorithms log your searches and clicks and deliver results that it thinks will be more relevant to you. 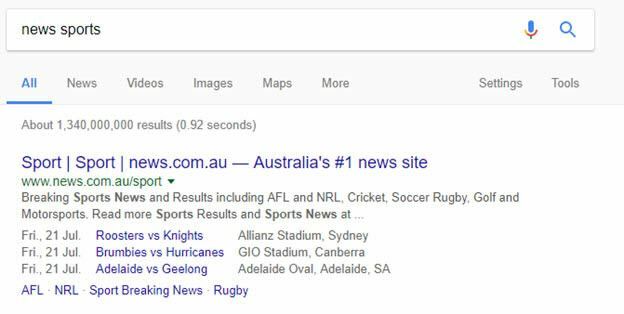 If you have searched a keyword a number of times and clicked the same site; Google might show that result higher up the listing (for you). Google’s algorithm uses a number of indicators such as the time of day, device, location, your behavioural patterns and those of others to determine the intent behind the search. The obvious example is if you are searching for pizza at 6pm on your phone, you’re likely to see a load of local pizza restaurants. The SERPs are radically different now to how they were 5 or 10 years ago, now there is huge variation in listing type even within the organic subset of listings. Because a keyword ranking is actually a listing, it must fall into one of the categories below. We discuss the SERPs in more depth in our guide to the SERPs. In these listings, you will see some variation, between the listings, such as those with sitelinks and structured URLs… But these are all variations of the standard listing. The listing below is again organic but the page from which the content is taken has been marked up such that Google can read it and understand what it represents. Social listings, such as that shown in the example below, are likely to occur when searching for celebrities with strong social media accounts. 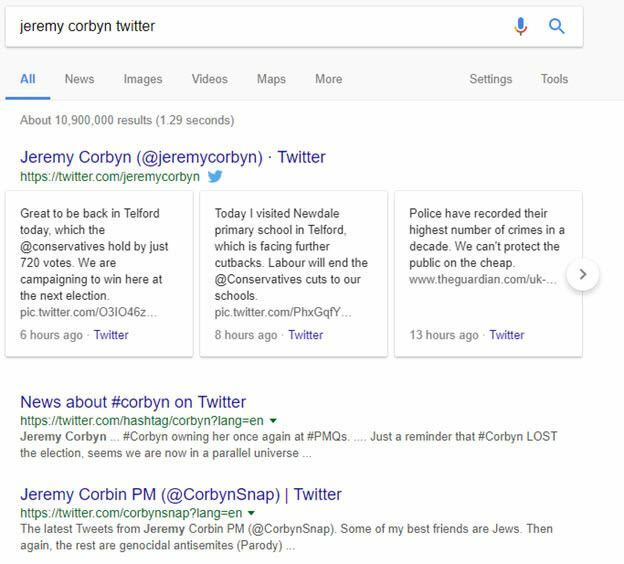 We cover image search in more depth in another guide but for the purposes of this, images can appear in the search results (see example below). You can optimise for this and for an image search in a number of ways to improve the chance of image appearing for certain searches. We cover video search in more depth in another guide but for the purposes of this, videos can appear in the search results (see example below). You can optimise for this and for video search in a number of ways to improve the chance of a video appearing for certain searches. This used to be a 7-pack, but was reduced to just 3 local businesses a while ago. While it is possible to dive into this type of listing in a lot more detail, we cover this in another guide. Featured snippets have a lot of variations, such as the travel box, rich answers, calculators, etc. The Knowledge Graph came into being in 2012 and is a knowledge base that Google use to improve and enhance their SERPs. This uses ‘semantic-search’ information collected from a multitude of sources. This includes things like carousel, information box, brand knowledge graph box, etc. We discussed organic visibility earlier in this guide, in that description we discuss search volume… Well, search volume and rankings are one part of the equation. The other is CTR (Click Through Rate), which as you might have guessed is the rate that people click through to your site from the SERPs. This is defined normally as Clicks / Impressions, or the number of people who clicked your listing vs all those who saw it. The higher the organic listing for a keyword the higher the CTR, and this is how rankings turn into organic traffic. In most cases there is a monetary value that can be prescribed to organic traffic, and as such you can start to ascribe value to ranking for a particular keyword (with enough data). All this talk about keyword rankings, personalisation, variation in listing type, etc; means that you need a way to track and monitor your keyword rankings. For this you have two broad options available to you, unless you want to manually check them! Google Search Console provide you with some data regarding rankings, they refer it as ‘average position’; meaning the average position of your listing for a keyword over the specified time period. They also provide data on impressions and clicks, but all of this can be at odds with what you see, what ranking tools detect and data from other Google programs. The only effective way to track keywords is with a tool that does it for you… There’s a load of tools out there that track keywords, at Raptor we have produced our own suite of keyword tools that include a keyword rank tracker. Our tool provides you with device level breakdowns as well as a detailed look at the following components. This is the position that your site ranks organically. Meaning that we do not include paid ads at the top of the page. Some tools might also not include local listings as listings organically outranking you. The best rank possible is position 1. This refers to where you are ranked on the page, it includes all ads, local listings and knowledge graph boxes. In the case of this metric, to rank in position-1 would mean that there were not paid ads triggered for the keyword. This is the number times your site is listed organically for a keyword, as in some instances you can appear more than one time in the SERPs. This is the number times your site is listed for a keyword (not just organically), as in some instances you can appear more than one time in the SERPs. This is the URL that ranks for the target keyword (within the listing). From this you can extract the domain, if it’s not the root domain that’s ranking. The sub class is they sub listing-type of each of the above listings… We cover these in a lot more detail in our guide to the SERPs. Raptor collects more data than this such as backlink data and content and optimisational analysis for the target keywords. All of the standard SEO techniques.